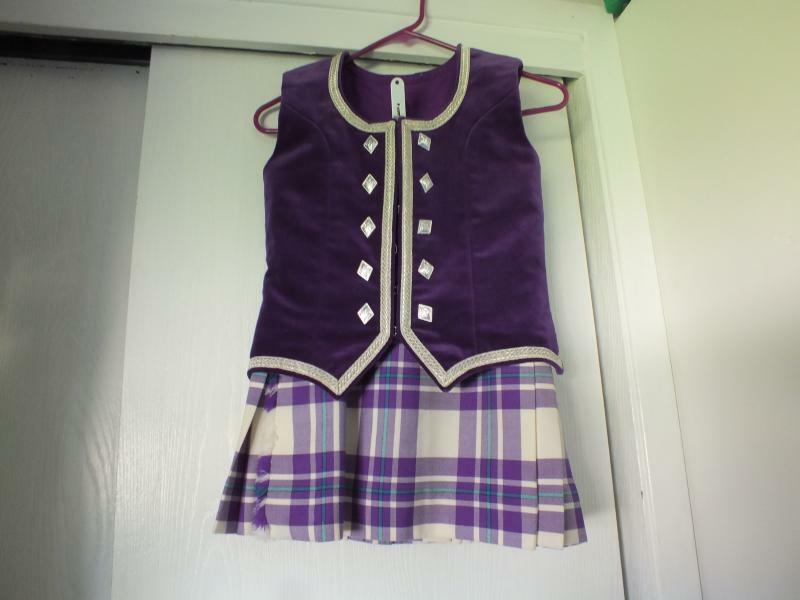 dance.net - Dress Purple McGregor Kilt Outfit US$500 (10245841) - Read article: Ballet, Jazz, Modern, Hip Hop, Tap, Irish, Disco, Twirling, Cheer: Photos, Chat, Games, Jobs, Events! Kilt, vest, jacket and 2 pairs of wool hose included. Immaculate condition. Buyer to pay shipping from Idaho. Second owner, but never worn by my dancer, as she outgrew the length without growing big enough around to wear it. She is sad, but looking forward to a new kilt that will fit. All measurements taken flat with flexible tape measure. 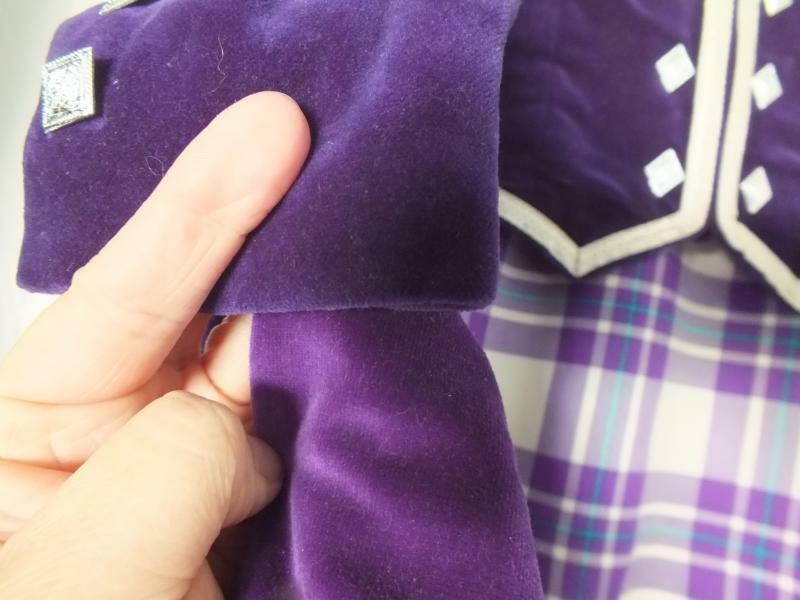 Nape to back point 15.5"
Front shoulder seam to point 17.5"
Nape to back point 16"
Shoulder seam to wrist (top) 20.5"
Just wondering, is the jacket dark purple or blue? jpnvicki - The jacket is dark purple. I will try to get a better photo today - it's hard to photograph velvet of any color accurately with the lighting in my house. MacMom1 - the outfit is currently available. I am not sure how many yards the kilt is or who made it - the tag does not identify the maker. I will measure it today and try to estimate the yardage. I will also upload another photo of the jacket. diamondvdancer - the outfit is currently still available. Thanks! That would be awesome because we are really interested. Thanks. 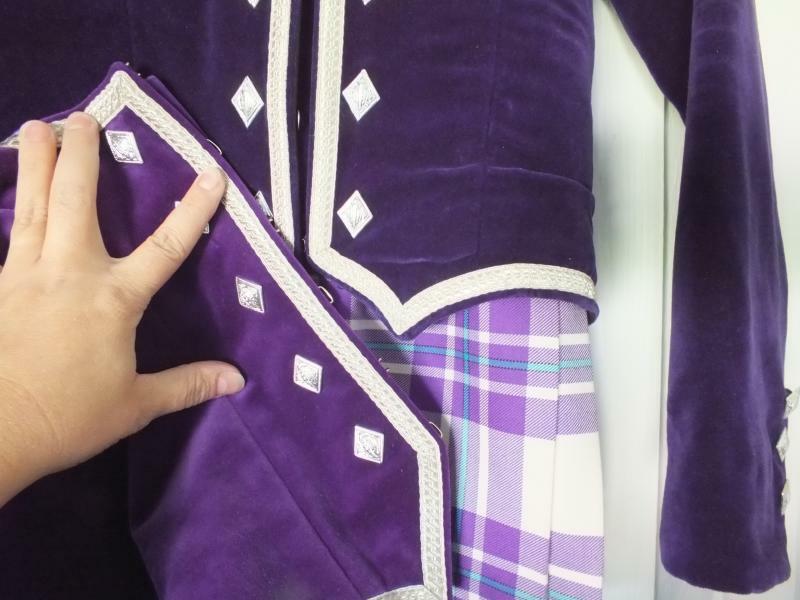 MacMom1 - there are 5 yards of fabric I can measure in the kilt. 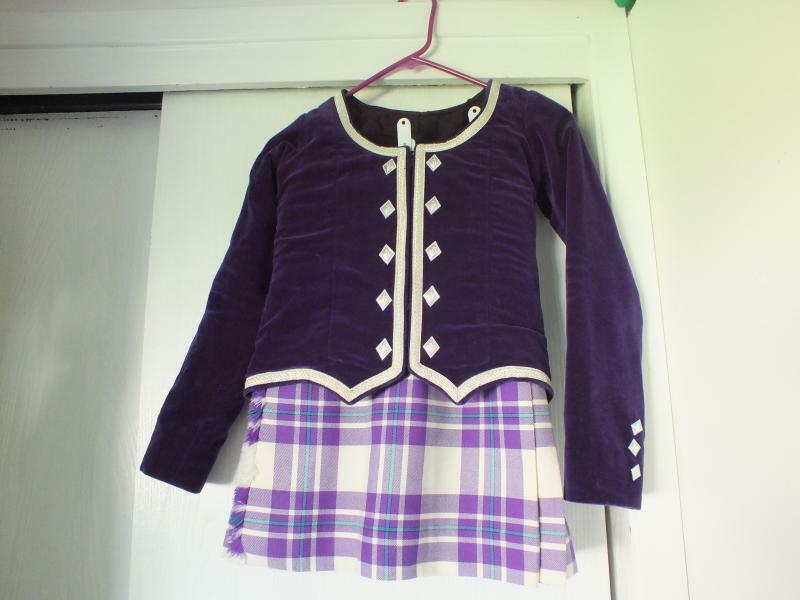 I have taken fresh photos of the jacket with kilt, vest with kilt and comparison in the velvet colors between vest and jacket. I'm having to upload each photo separately in the thread. Hoping that helps! Okay thanks for new pictures. We want to buy. I sent you a private message. Let me know how you want to proceed. Thanks. Did you get my PM, MacMom1?